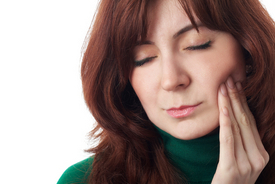 An infected or diseased tooth can cause immense pain. It also threatens the integrity of the tooth, and puts a patient at risk of losing the tooth altogether. In order to salvage an infected or diseased tooth, Cocoa oral surgeons Gerald Bird and Jay Johnson offer apicoectomy, a type of endodontic surgery. If a tooth becomes infected or diseased after root canal therapy, apicoectomy may be recommended. A root canal is an anatomical structure located within each tooth, a chamber that contains the tooth’s dental pulp. The pulp of the tooth is a combination of nerves, vessels, and connective tissues. It performs a number of functions to keep the tooth healthy, including providing vital nutrients. Unfortunately, if the pulp becomes infected or diseased, it can result in severe and often excruciating tooth pain. When left untreated, the tooth will eventually die and decompose. For most patients, root canal therapy can effectively eliminate the pain caused by the infected or diseased tooth while also restoring its strength and function. During root canal therapy, the affected pulp is removed through a passage made in the tooth’s crown. Once this pulp has been removed, the root canal is thoroughly cleaned, disinfected, and then replaced with a filling material. To protect the structures of the tooth, the opening in the tooth is sealed, and the remaining healthy tooth structure is covered with a dental crown. Unfortunately, root canal therapy is not always successful. When the initial root canal therapy does not remove all signs of infection and inflammation from the tooth, apicoectomy may be necessary. Apicoectomy is performed when an unseen canal fills with bacteria. There are many small, complex branches that may not be cleaned during root canal treatment.If a canal is left unfilled, it will continue to grow bacteria and cause pain. In many cases, a repeat root canal therapy is not recommended; a repeat root canal treatment is more complex and involved because the crown, post and core, and filling must be removed in order for the second root canal therapy to take place. The post and core may be cemented in place or set very tightly and removal could injure the tooth. In addition, cutting through the dental crown can weaken its structural integrity. Endodontic surgery has a very high success rate. However, in some cases, the tooth may be too damaged and the tooth must be extracted. If this happens, we offer our patients in Cocoa dental implants. To learn more about apicoectomy endodontic surgery, please contact our practice today.